Pokemon Go Meets WoW Battle Pets Mash-Up | Nerd Much? For those who live under a rock, the Pokemon Company now owns the mobile gaming market, thanks to the recent release of Pokemon Go, a game that has taken the world by storm. It has taken over your newsfeeds, everyone around you has their head in their phone (now more than ever), and companies are even using the game for marketing their businesses (example: getting a 10% discount if you’re on Team Instinct). It’s clear that the real-world game is something magical, and it’ll soon spawn other real-world games (albeit ones that won’t have the popularity potential). But one game would be able to give Pokemon Go a run for its user base: a WoW Battle Pets mobile game. 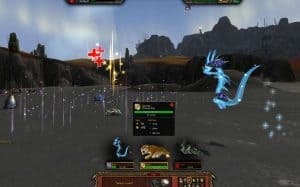 Now, I’ve already gone into a plea for a WoW Battle Pets game that I can play right on my smartphone, but the article was pre-Pokemon Go‘s release. After playing Pokemon Go, and seeing its popularity exponentially rise by the day, bringing World of Warcraft‘s Battle Pets to mobile seems like an even better idea than I originally imagined. What if the game was in the real world — at least, it reacted to how you’re moving in the real world and the app was just skinned to look like Azeroth. Furthermore, your in-game character would be the one walking around in the app, although it would react to your actual movement in the real-world. Players would be able to battle, capture, and train their Battle Pets on-the-go. That means I can battle Mean Green (that’s what I named one of my rare Forest Spiderlings) while sitting in a car or waiting in line, or whip out my Father Winter’s Helper (it’s a little Christmas-themed Elf) when I feel the need to level him up. Let’s not forget that World of Warcraft still has a solid user base somewhere in the millions (5.5 million was the last number officially given by Blizzard). That number is slightly smaller now, and we’ll see an influx of users come back to the game for when Legion releases in August. That being said, that’s millions of reasons that Blizzard should put this app into development. And, honestly, I’d be surprised if Blizzard didn’t start developing the game over the weekend after seeing the booming success of Pokemon Go. It’d be a game well-worth draining my battery over. 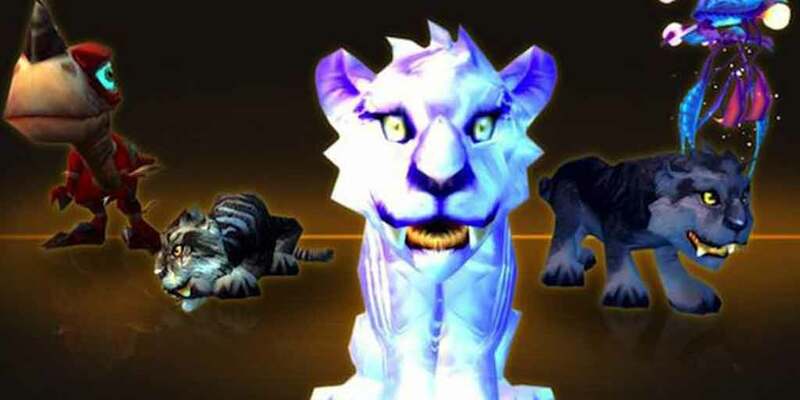 Is a Pokemon Go-esque WoW Battle Pets game a good idea or a GREAT idea? Sound off in the comments below.